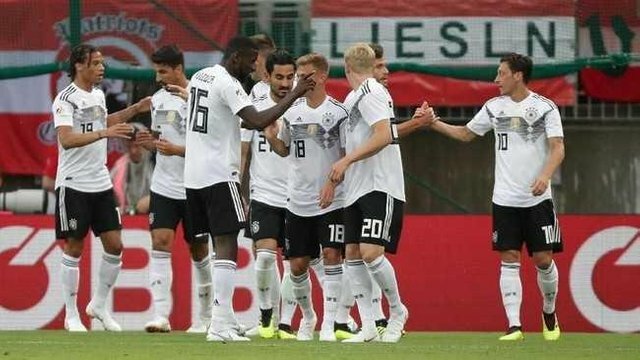 Germany are defending champions who are certainly in the ranks of the 2018 World Cup winners. Here are the initial challenges for the defending champion in his schedule in Group F.
Die Mannschaft must come to Russia 2018 with a determination to defend the World Cup championship title. The status of Germany as the defending champion undoubtedly makes all his opponents so have extra motivation. As an early stage, Germany will be challenged to pass the competition in Group F which is populated with Sweden, Mexico and South Korea. The way the defending champion in his escaped effort will be judged publicly. Germany's first game is against Mexico at the Luzhniki Stadium, (17/06/2018) night local time. Here is the full schedule of the 2018 World Cup in Group F in order to be able to see how the defending champion to answer the challenge.